Aaditya Technologies, Hyderabad is an emerging Software Development and Consulting Services organisation. With the guidance of our highly experienced Management Team, we look forward to work along with the companies and organisations to ensure their business objectives are met as per the agreed time lines. Aaditya Technologies works towards achieving the highest standards of quality in Software Development. We have the collective expertise & experience of about 50+ man years in the software development industry while working for various domains, which include Information Technology, Retail, Petroleum, Banking, Insurance and Healthcare. We develop software solutions for both IT and non IT segments spreading across different verticals on a continuous basis. Aaditya Technologies is equally poised to grow and achieve the highest standards in the consulting, recruitment and staffing industry as well. Our sourcing team is well aware of the different methodologies to source and screen the candidates of varying experience belonging to different verticals. 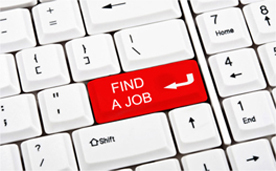 Our strong database helps us to search and submit the appropriate profiles with the desired skill sets to the client companies as per their day to day requirements, as we cater to IT and non IT segments. Aaditya brings in value addition to your operations, business goals without affecting the bottom line. We are confident that our clients would be acknowledging that they are dealing with true leaders in this field and they would be assured of great return on their investment. Aaditya adds value to your projects / products while keeping an eye for the detail and also not on compromising on the quality and the timelines in view. As each client's requirements are uniquely different - even our services are tailored to meet the quality standards of the individual clients. Since we value your time and commitment to your customers, we help & support you. Best part of our consulting is that it is driven by technology management professionals unlike most consulting firms. Aaditya is backed with a senior and experienced team of professionals who are willing to stretch and deliver the desired out cdome for the clients, as we always believe that to be interactive and responding to the client on a continuous basis would be a win - win situation. On software development opportunities, we study your requirements, analyse, design, develop and test using the various methodologies and tools through discussion and coordination as appropriate at every stage. On consulting assignments, we ultimately intend to meet the objective of resource requirements of the clients by having a series of meetings at all levels. The best part among many of our initiatives is that we discuss in detail about the client organization with the candidates and ensure that the candidate is well informed about the Job Description, work culture etc. We shall always strive to build the relationship with the clients and the candidates in a professional, fair and transparent environment. To work and ensure customer satisfaction in learning, understanding and experiencing with true business values and ethics coupled with innovation & creative excellence. To be one of the best and respected organisations in Software Development, Consulting and Training segments at all levels for it’s commitment, quality & delivery standards across geographies. We encourage open,transparent ,fair and collaborative work culture as we are always driven by people & processes. Aaditya Technologies has over 50+ man years of software development experience in various technologies, which include .net, Java, PHP, SQL server, Oracle, MySQL etc, along with the expertise in various domains including Retail, Petroleum, Banking, Insurance, Healthcare and Real Estate. Aaditya's proven track record helps us in working as per our client needs in Product Development, Application Development, Testing Services, Websites Design & Development, Managed Services, Graphic Designing and many more. In other words, we always keep a watch on the global trends and look forward for the new opportunities for software development across different verticals. We are always eager to work and excel with new initiatives keeping in mind the scalability of the product in the ever expanding technology world. 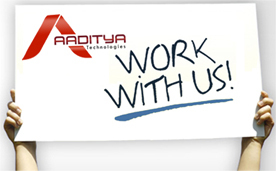 Aaditya Technologies specializes in sourcing the permanent staff for the client – as per the shared JDs and in consideration of the candidate’s qualification, total & relevant experience, matching skill sets, availability / notice period etc., as we have the relevant experience to source, screen and select the suitable staff for the client at all levels. Aaditya’s Recruiting Team always strives to give their best in identifying the right kind of resource as per the client‘s unique requirements so that the client’s project deadlines are met on time – always! Resources, which were on the rolls of Aaditya, would be deployed at the client location on contract basis and they in turn would be working on the projects at the client’s location as per the mutually agreed terms and conditions. Do You Owe Payments to Aaditya Technologies ? Transfer funds instantly for all of your payments to be made / due to Aaditya Technologies, Hyderabad 500020, India. Please find below different Payment options for your easy use and from the convenience of your home / office from anywhere in the world! Kindly follow the instructions…and hope you had goog services from Aaditya Technologies!